Should You End Winter With a Furnace Replacement? 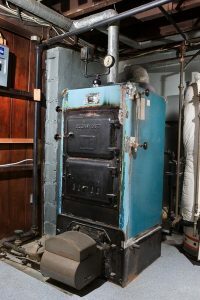 | Atlantic Refrigeration and Air Conditioning, Inc.
Should You End Winter With a Furnace Replacement? Wait, hold on a second, we’re getting way ahead of ourselves. How do you know that you even need to have your furnace replaced? Even if your furnace is older than its predicted life expectancy, it doesn’t necessarily mean it needs replacement. Was I Comfortable All Season Long? Sometimes, the right answer is the simplest one. If your furnace is no longer heating the home as quickly or thoroughly as it used to, that could be reason enough to have it replaced. Now, don’t get us wrong—we’re not saying you should make this decision based purely on how you think you feel. However, if your suspicions are correct and it’s true that your furnace isn’t working like it used to, then that also means that it’s wasting more money and energy to keep you warm. You wouldn’t want to spend more money for a furnace that isn’t doing the same job it used to, after all. How Much Did I Pay for Heating? Take a look at all of your heating bills from the season. You should also look to see if you still have records of what you paid for the year before, as well as the year before that! What we’re trying to find here is if there is a gradual increase in what you’ve been paying for your heating every year. Colder winters can easily be to blame, as can fiddling with the thermostat too much. Either way, looking at your expenses might be able to illuminate for you whether or not your furnace has been struggling to keep up with basic demands. Did I Have to Schedule Repairs? Having to schedule heating repairs in Delaware isn’t something you should be looking forward to every year, or even every two years. While heaters will have some repair issues every now and then, they shouldn’t be the norm. So if you found yourself calling for repairs again this year, or perhaps multiple times in the same year, then it might be time to take a close look at your furnace. Did I Ever Wish My Furnace Had Other Features? Did you ever wish that you could run a certain temperature in one room, and another temperature in another room? Or maybe you’ve been thinking that your allergies would fare better if there wasn’t hot air blowing around the home. If you have these thoughts, don’t just ignore them. These could be signs that what you actually need is a different kind of heater entirely. If you’re not sure that furnaces are actually the best system for you, we recommend speaking with one of our experts to see what your alternatives are. If your furnace is in need of replacement, contact Atlantic Refrigeration & Air Conditioning, Inc. today to request an estimate.